Scarring alopecia is a fairly rare condition and whilst there are many forms of scarring alopecia, the common theme is a potentially permanent and irreversible destruction of the hair follicles. The destruction of the hair follicles can be as a result of inflammation of the hair follicles (folliculitis). 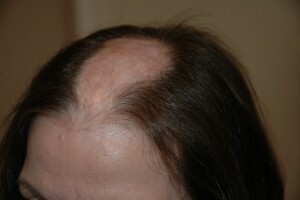 Most forms of scarring alopecia first occur as small patches of hair loss that may enlarge with time. 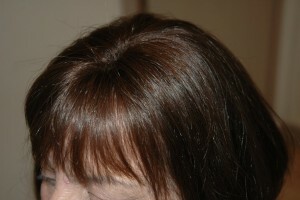 In some cases the hair loss is so gradual, without noticeable symptoms, and may go unnoticed for a long period of time. 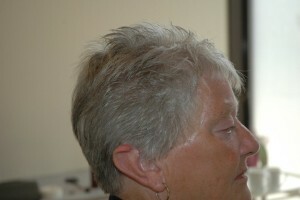 In other instances, the hair loss is associated with severe itching, burning, pain and is rapidly progressive. The edges of the bald patches normally look more “ragged” which makes it slightly different from the patches found in alopecia areata. The inflammation that destroys the follicle is below the skin surface and there is generally no “scar” seen on the scalp. Affected areas of the scalp may show little signs of inflammation, or have redness, scaling, increased or decreased pigmentation, pustules or draining sinuses. 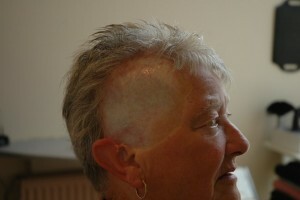 Scarring alopecia occurs in otherwise healthy men and women of all ages and is seen worldwide. TO THE TOP or back to to Female Hair Loss , Thinning Hair, Female Pattern Baldness, Alopecia Areata , Telogen Effluvium , Traction Alopecia , Scarring Alopecia , Trichotillomania , Hypothyroidism , Monilethrix , Lupus , Iron Deficiency Anaemia , Cancer Treatment, Polycystic Ovarian Syndrome , Scalp Skin Conditions or Excessive Styling .